Pigeon Lake is approximately 5344 hectares (13,200 acres) in size, with a maximum depth of 17 metres (56 feet). It is part of the Tri-Lakes Complex; Chemong Lake, Buckhorn Lake and Pigeon Lake. It is located east of Bobcaygeon, Ontario and is one of the lakes of the Historic Trent-Severn Waterway. Primary fish species present include, largemouth and smallmouth bass, walleye, muskellunge, crappie, perch and bluegill. The primary public access point for the lake is Emily Provincial Park, with ample parking, boat launches, camping and picnic facilities. Pigeon Lake is a bass factory. Largemouth bass are one of the most abundant fish in the lake. Trophy largemouth bass in excess of 5 lbs are caught annually, although average fish are 1-2 lbs. Pigeon Lake is full of weeds, especially in the south end. Weed flats and lily pad bays stretch for miles and at times it can be daunting deciding where to fish. The best locations are weed pockets and edges near deeper water. On the south end, this only 7-10 feet deep. Dunking plastic worms, or jig n pigs under weed mats and in weed pockets can be very productive. 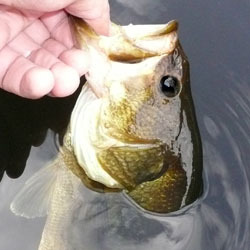 Top water can also produce good numbers of bass, especially at dusk and dawn. The mid lake area has large cane and reed beds and can hold lots of bass as well, especially during the dog days of summer. Pitching and punching baits deep into the reeds has produced some of the bigger bass in the lake. 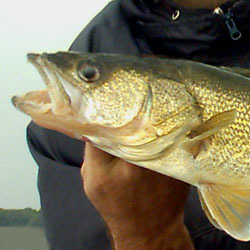 One of the most sought after fish in the lake are walleye. They can be found through out the lake, although the northern end has greater numbers. This area is rocky and deep and more suitable for walleye. Jigging off points, islands and mid-lake reefs and humps is always a productive pattern. Firetiger or perch pattern crankbaits can also be deadly, especially when the walleye are active. Don't be surprised if you hook into a bonus muskie while trolling for walleye. Crappie fishing is also very popular on Pigeon Lake, and inhabit the same areas where largemouth bass can be found. At times, jigging small tubes into weed pockets can produce some giant slab crappie in excess of 1 lb. Although most crappie fishing is done in the spring, when crappie concentrate in shallow river mouths and flats. Pigeon Lake is a fantastic fishery in the heart of the Kawartha Lakes, give it a try and good luck! Each detailed map provides depth, contours, structure, boat ramps, and updated fishing information. 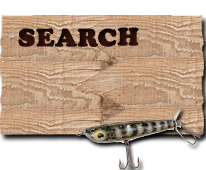 Pigeon Lake fishing maps also include lake info such as gamefish abundance, forage base, water clarity, weedline depth, bottom composition, complete latitude/longitude grid lines and dozens of GPS waypoints & coordinates.